Is it safe to apply here? Yes, we are the authorized dealer for Astro, Maxis and TIME. What we do is to help you check coverage and register for your Astro package or Maxis/ TIME broadband package. We also take necessary precaution to protect all users data. How much does it cost to apply from here? There is no extra charge you when you apply through us. We do not collect your credit card information as we do not charge you for this application. Charges are the same as you apply from the sales counter. * Installation charges are applicable for non-standard installation, payable to contractor/ service provider. How fast is the application process? Once we receive your application with completed information, we will process and submit to the service provider within 24hrs (business day). The contractor from the service provider will then contact you for installation appointment. This normally take 2-7 days. What is the procedure to apply ? First, you can apply online, we will get back to you on the same business day. Email/ fax/ mail us your Photocopy of NRIC/ passport (for foreigners). When we receive all the information, we will submit your application. Launched in December 2011, NJOI is Malaysia’s first subscription-free satellite TV service. NJOI gives customers in Malaysia immediate access to 48 TV and radio channels, comprising lifelong learning, information and entertainment programmes for a one-time payment, with no monthly subscription required. NJOI is available for a one-time payment of RM328 (GST incl.) at any authorised NJOI retailer. An additional RM100 standard installation fee applies. **Get RM60 worth of preview to selected Premium Channels for 30 days (Mustika & Ying Shi) + Sports Pack which is equivalent to two prepaid vouchers. NJOI Prepaid is Malaysia’s FIRST prepaid satellite television service. It is a pay-as-you watch service and is now available to all NJOI customers nationwide. With NJOI Prepaid, NJOI customers have the option to access additional content on top of the existing 48 TV and radio channels, in accordance with their viewing needs and budgets. Why am I charged for GST now for NJOI bundled services box when previously there was no service or government tax charged for purchasing NJOI bundled services? With the implementation of GST from 1 April 2015, customers who purchase NJOI bundled services will be subject to the 6% GST, as GST is now applicable for all goods and services. This is as per nationwide implementation by the Royal Malaysia Customs Department. Would there be further price change later part of the year after GST has been implemented? For now, there will be no further price change. Upon the implementation of GST from 1st of April 2015, the price of NJOI bundled services is as per recommended which is subject to the 6% GST. If I want to replace my current box to a HD enabled one, is there additional charge? How would I know if my box is HD enabled? All B.yond boxes are HD enabled. 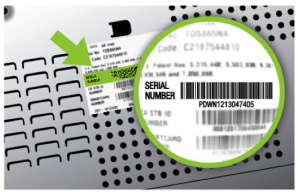 Please check your STB serial number to determine if your box is an HD enabled box. The serial numbers below are boxes which are HD enabled. Please ensure that your HD enabled box is connected to a HDMI cable to receive channel in HD quality. Who is NJOI Prepaid made available to? NJOI Prepaid is a pay-as-you watch service available to all NJOI customers who own a set-top box (DMT or RDMT), Out-Door Unit (ODU) satellite dish, smartcard and remote control unit. How can I activate my NJOI Prepaid voucher / monetary token and what are the steps required? Simple steps to get you started. Scratch the grey panel at the front of card to obtain your 16 digit code. Type 111 <space> IC Number <space> 16 Digit Pin Code and SMS to 33310. (RM0.00) No additional charge except for standard telco charge applies. 1. If you have more than ONE account, please use your Smartcard number and NOT your IC number. 2. (RM0.00) No additional charge except for standard telco charge applies. 3. For any enquiries, please contact us at 03-9543 8100 (8am – 12 midnight). Will my activated NJOI prepaid credit expire? As of 7th December, 2015, NJOI prepaid credit will have an expiry period of 60 days from the day of your top-up. Available credit balance before 7th December 2015 will expire on 5th January 2016. Does the expiration date affect the viewing duration of my purchased channels? No, viewing duration of prepaid channels purchased is not affected by the expiry date of topped up credit. What is the NJOI customer service contact number? For any queries pertaining to NJOI, please contact us at 03-9543 8100 (8am – 12 midnight). After activating my prepaid voucher/topping up my NJOI prepaid account, I experienced technical issues with my NJOI decoder. What should I do? Will you extend my viewing duration? Please contact our customer service center at 03-9543 8100 (8am – 12 midnight) and we will do our utmost to identify and resolve the problem. What happens if I lose my NJOI Prepaid voucher or if it was stolen? Can I get a replacement? We regret to inform you that we are unable to provide any replacement for lost or stolen NJOI Prepaid vouchers. 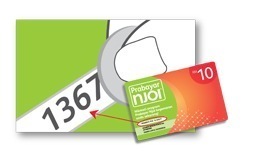 NJOI customers are responsible for the safekeeping of all purchased NJOI Prepaid vouchers. 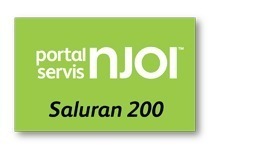 You can purchase a new prepaid voucher at any authorised NJOI dealer or Astro/NJOI retailer nationwide. I am unable to activate my NJOI Prepaid voucher. What should I do? Please contact our customer service center at 03-9543 8100 (8am -12 midnight) and we will try our utmost to identify and resolve the problem. Should your NJOI Prepaid voucher be faulty, we will replace it with a new one for free. I am exsiting user, can I still apply? Existing user for Astro can be upgraded to the fibre broadband package. You can call us to request for an upgrade. For Time and Maxis, just submit your application, we will handle all other for you. Does Maxis Fibre Internet with Astro IPTV come with Home Voice? The Home Voice service is an optional service. It does not come with the Maxis Fibre Internet with Astro IPTV service. If I already have a broadband or fibre service from another provider under a contract, how can I enjoy Time Fibre / Maxis Fibre Internet with Astro IPTV? To avoid service disruption, it is advisable to terminate your existing broadband or fibre service only after you have activated your Time Fibre/ Maxis Fibre Internet with Astro IPTV. This can be done when your existing contract expires. What makes this IPTV package different from other Astro packages? Maxis Fibre Internet with Astro IPTV customers enjoy exclusive product benefits such as additional content that is not available to other Astro customers. What is most basic content package I can opt for in Time Fibre / Maxis Fibre Internet with Astro IPTV? The minimum content package that you can choose is the Family Pack at RM39.95 per month, which has up to 40 quality channels. For details on channels and the packages. When I migrate over to Maxis Fibre Internet with Astro IPTV, what happens to my existing Home Voice package with free minutes? The Maxis Fibre Internet with Astro IPTV service does not come with a Home Voice package. Subscribers have the option of subscribing to the new Home Voice plan separately and retain the existing phone number. I am currently subscribed to Astro DTH (satellite). Can I subscribe to the new Time Fibre / Maxis Fibre Internet with Astro IPTV service? Yes, if you are an existing Astro DTH (satellite) customer and lives within the Fibre Internet coverage area, you can migrate to this Astro IPTV service. How long does it take to install the Time Fibre / Maxis Fibre Internet with Astro IPTV service? Astro Iptv will contact you in 2 to 7 working days from your registration to schedule the installation appointment. Due to overwhelming demand, the installation may only take place several weeks from your date of registration. Can I request to move the IPTV devices to another spot in the house? This is possible and the installer would be able to advise you on the cost of the non-standard installation after assessing your premises and request. These non-standard charges are to be paid to the installer directly. How long is the contract period when I sign up for Astro IPTV? The contract period is 24 months effective from your installation date. What if I relocate to a new address within my contract period with Astro? Your Astro IPTV contract will be renewed for another 24 months effective from the installation date at your new address.T&C apply. What is Astro on the Go? Astro on the Go lets you watch Astro anytime, anywhere you are in Malaysia. No Astro TV subscription is required, and all you need is an Internet connection and a computer, a supported Android or iOS tablet, or smartphone to get started. Live TV Channels – Don’t miss what’s on TV. Catch what’s live on your devices anytime, anywhere you are in Malaysia. Live Sporting and Entertainment Events – From your favourite sports to live entertainment and red carpet events, watch it all live on Astro on the Go. TV Shows – Watch your favourite TV shows on demand. Movies – Watch a movie from our Astro First, Astro Best, or Video On Demand movie library on Astro on the Go. The channels and content available to you on Astro on the Go are subject to your individual subscription. Where can I view/update my list of authenticated devices? Astro on the Go will automatically register the first three devices using your Astro ID for playback as authenticated devices. If you login and playback content with a fourth device, a prompt will appear to request a switch of devices. You will then be able to view a list of authenticated devices and perform an update if desired. Please take note, this update can only be performed once a month with no more than 10 updates in a calendar year. I have forgotten my Astro ID or my password. What do I do? Please navigate to Astro On The Go from your browser, and click “Forgotten your Astro ID or Password?” Follow the instructions and the steps to retrieve your Astro ID and your reset password will be emailed to you. My Astro ID is locked. What do I need to do? I suspect my Astro ID is being misused, how do I report this? Please contact Astro Customer Service at 03 9543 3838 to report the case. What can I get on Astro on the Go as an Astro Customer?? i. Live TV Channels – Don’t miss what’s on TV. Catch what’s live on your devices anytime, anywhere you are in Malaysia. ii. Live Sporting and Entertainment Events – From your favourite sports to live entertainment and red carpet events, watch it all live on Astro on the Go. iii. TV Shows – Catch up on missed episodes and also binge on your favourite TV shows on demand. iv. Movies – Bought your favorite movies from Astro First, Astro Best, and on demand library? Watch it also on Astro on the Go. The channels and content available to you on Astro on the Go are subject to your individual Astro TV subscription. Can I transfer or copy the content from Astro on the Go to other devices? No, the content from Astro on the Go is not transferable to other devices, and can only be watched on the authenticated devices. Can I watch the programmes that I have bought on my decoder from Astro First, Astro Best, Astro On Demand and Video On Demand on Astro on the Go? For Astro pay TV subscribers, you will be able to watch Astro Best and Astro First movies purchased on your decoder in the Movies section on Astro on the Go, and watch Video On Demand titles purchased on your decoder either in the TV Shows or Movies section, subject to content rights of the purchased title. Please note that you must connect your PVR decoder to watch Video On Demand titles purchased via decoder on Astro on the Go. You can also watch Astro On Demand in the TV Shows section on Astro on the Go. NJOI customers can currently watch the 9 free channels available on Astro on the Go. I have purchased some programmes on Astro on the Go. Can I watch it on my TV? For Astro pay TV subscribers, selected Astro First and Astro Best movies purchased from Astro on the Go are available to be watched on both Astro on the Go and from TV via your Astro decoder at home. This is currently not applicable for NJOI customers. Why are some channels and content not available on Astro on the Go although it’s available on Astro TV / NJOI? The channels and content available on Astro on the Go are subject to the rights from individual content provider. We’re continuously working to get more channels and content to be made available on Astro on the Go. Why are some of the content on my Astro on the Go blacked-out? The channels and content available on Astro on the Go are subject to the rights from individual content providers. We are obligated to remove (black-out) selected content on Astro on the Go due to rights issues. Is there a switching fee if I want to terminate my Astro on the Go subscription? No. There will be no switching fee should you request to remove this service. Please note that there will be no refund to a subscribed service should you request to remove your Astro on the Go subscription. Will the charges for Astro on the Go subscription be prorated if I terminate the subscription? For Astro pay-TV customer, the charges for Astro on the Go subscription on your billing statement will be prorated according to the date of subscription and termination. For NJOI / non-Astro pay-TV customers, the pay-per-view and subscriptions are non-refundable and non-prorated, so if you choose to terminate your subscription, you’ll be able to watch the subscribed channel(s) until the last day of your last subscription payment. What is Astro On Demand (OD)? Pick, Watch, Instantly. On Demand (OD) is the new way of enjoying entertainment. OD by Astro enables Malaysians to personalize their TV viewing experience where they can pick and choose their favourite shows from a rich choice of content including the latest and the biggest box office movies and complete seasons of TV series and watch instantly on multi screens. On Demand is a service which allows you to select and watch desired programs anytime at your convenience. There are three types of On Demand services. OD Free – A free service which allows you to catch-up on a selection of aired programmes based on your subscribed packages. OD Plus – A monthly On Demand subscription (RM15.90/month) which contains a library of unique Movies, complete box-sets of TV Series as well as a sizable library of Kids’ content. On Demand is an updated version of the Video on Demand service with new content and an updated interface. OD is not a channel. On Demand (OD) is the new way of entertainment as it enables Astro customers to instantly access to a huge On Demand library of the latest movies and complete seasons of TV series with a connected PVR. Once your PVR is connected to a standard Wi-Fi connection, press the ‘home’ button on your Astro remote control and select ‘Video on Demand’ on screen to access OD. Download from the vast range of Free On Demand Titles? OD Free is the introduction to the plethora of VOD services. Same Day as The U.S. titles, the latest seasons of Akademi Fantasia, Super Spontan and many more. Now you can have any show you want, anytime you like, all at the touch of a button. It’s too easy there’s something for everybody with Astro’s video on demand services. Just try it today. Enjoy complete seasons of TV series and movie box sets with OD Plus? From TV series like The Flash and The Big Bang Theory to Hollywood blockbusters like the Harry Potter and The Lord of the Rings movies, and kids’ content are now available to you anytime, anywhere! Purchase & watch the movies you want, when you want. Purchase the latest and library movies at your own convenience with the OD Store. Movies include those which are second windows after cinema, as part of Astro’s premium movies from Astro First, Astro Best & A-List. Our extensive library features world-class shows across a wide range of vernacular and international languages, including Malay, Chinese and Indian. What is the difference of OD Free and Free VOD? OD Free is an updated version of the Free VOD service with new content and an updated interface. How much do I need to pay for OD Free? OD Free comes at no extra cost for Astro customers. Am I entitled to access all OD Free programmes? No, the programme entitlement is based on your subscribed package. How do I access OD Free from my PVR? Press the “home” button on your remote, scroll to “On Demand” and select it. Note that you will need to connect your PVR to the internet in order to access the menu. How do I access my downloaded OD Free programmes? Press the ‘home’ button on your remote and select ‘My TV’. The downloaded programmes will be in ‘Download Manager’. Is there an expiry period for OD Free programmes? Yes. Expiry dates for the programmes will vary depending on the programme. The expiry period will be stated on screen for each programmes. A monthly On Demand subscription (RM15.90/month) which contains a library of unique Movies, complete box-sets of TV Series as well as a sizable library of Kids’ content. From TV series like The Flash and The Big Bang Theory to Hollywood blockbusters like the Harry Potter and The Lord of the Rings series, prime time shows are now available to you anytime, anywhere. WHAT IS THE DIFFERENCE OF OD PLUS AND ASTRO PLUS? OD Plus is an updated version of the Astro Plus with new content and an updated interface. I AM ALREADY A SUBSCRIBER OF ASTRO PLUS, DO I NEED TO SUBSCRIBE AGAIN? No, you will automatically be converted to a subscriber of OD Plus. WHAT IS THE PRICE FOR OD PLUS? OD Plus is at no extra cost to SuperPack Plus subscribers. If you are not a Superpack Plus subscriber, OD Plus is RM15.90 (GST incl.) monthly. Subscribers will have an option to purchase OD Plus and A-List at RM21.20 (GST incl). If you have connect your PVR to home Wi-Fi, you can access your free preview of OD Plus until 30 April 2016. Please call Astro customer service at 03 9543 3838 to activate the free preview of OD Plus. IF I AM CURRENTLY A SUPERPACK PLUS SUBSCRIBER WITHOUT A PVR, CAN I ENJOY OD PLUS? No, to enjoy On Demand services, you will need to upgrade your decoder to a PVR and connect the PVR to the internet. I AM NOT AN ASTRO SUBSCRIBER, CAN I SUBSCRIBE TO OD PLUS? Yes, you may subscribe via the Astro on the Go app Android application on your mobile or through the www.astroonthego.com on your computer for RM15.90/month. Astro Best – Offers the latest Hollywood and Asian titles, as early as 3 months after its cinema debut in Malaysian cinemas. Astro First – Offers the latest local/Asian cinema titles as early as 2 weeks after the cinema debut in Malaysia. A List – Watch critically acclaimed and award-winning films from around the world. All in HD and in its original language with subtitle options (in Bahasa Malaysia, English or Simplified Chinese). Selected Movies and TV show – Choose from a wide selection of titles ranging from movies, series, sports, lifestyle programs, documentaries etc. WHAT IS THE DIFFERENCE WITH VOD STORE AND OD STORE? OD Store is an updated version of the VOD Store service with new content and an updated interface. HOW DO I ACCESS THE OD STORE FROM MY PVR? 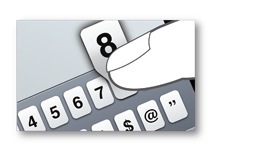 The default PIN number for purchasing On Demand programmes is ‘0000’. If you have changed your PIN previously and have forgotten it, please call Customer Service Centre request for a PIN reset. CAN ALL OD STORE PROGRAMMES BE WATCHED ON ASTRO ON THE GO? How to optimise your Astro viewing experience on a rainy day? We understand how frustrating it can be when you’re watching your favourite Astro programmes on a rainy day and the screen starts to pixelate or go blank altogether. This is called ‘rain fade’ and is largely caused by the weakening or loss of our satellite signal as the signal passes through raindrops. Sometimes, even the most reliable satellite communications technology can be affected by the forces of nature. Rain fade is common to satellite television services especially in tropical countries with heavy rainfalls such as Malaysia. This condition tends to be brief, lasting only as long as the heavy cloud condition persists. Astro is committed to improving its broadcast service. You can also try to optimise your viewing experience by following these simple tips below. TIP#1: Have your Astro dish alignment and LNB performance checked by an authorised Astro installer every two to three years (charges will apply). TIP#2: Make sure the cable running between the dish and decoder is an original cable supplied by Astro and that it is not twisted or damaged. TIP#3: Keep the cable as short as possible to ensure that the connection on the decoder is tightly in place and that the cable is securely clamped. TIP#4: Never split a single cable between more than two decoders unless the correct type of splitter is used and installed by a qualified and authorised Astro Installer. What is the feature for Astro PVR Astro Box? Watch one recorded program while recording another two at the same time. What is the feature for Astro B.yond DMT 5? What is the feature for Astro B.yond HD Zapper? Sleek & streamline design; supports HD Service. Jalan Utara, 46200, Petaling Jaya, Selangor.